Perfectly paved driveways, parking lots, and roads not only help you enhance the appearance of your home or business, but they also help you avoid issues with potholes and other hazards. 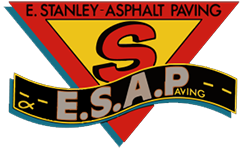 The team at E. Stanley Asphalt Paving (ESA Paving), a paving company in Baltimore, MD, understands just how beneficial it is to have a paved surface that looks good and functions even better. We've seen plenty of paving companies come and go over the 70 years we have been in business. During this time, our family-owned paving business just continued to improve ourselves and become one of the top paving contractors in our service area. Our longevity is based almost solely on our ability to provide amazing services to our clients while keeping our prices very competitive. Additionally, our team believes that your complete satisfaction is incredibly important and will do what it takes to meet or exceed all of your paving expectations. For more than four generations, our paving contractors have been honing their crafts while staying up-to-date on the latest in new and efficient technologies. This combination of old-school knowledge and skills with new-school equipment makes us one of the most efficient and effective paving companies in the area. Our team is committed to meeting the needs of both our residential and commercial clients and look forward to assisting you with any paving repairs, installations, or striping services you may require. With more than 65 years of experience, our team of paving contractors have seen and done just about it all when it comes to improving or creating new paved areas around your home or business. Our specialists are ready to listen to your ideas and help you create a successful paving project that will truly help you enhance both the appearance of your property as well as its safety. Contact us to learn more about all of the different types of services our paving company provides to our residential and commercial customers. 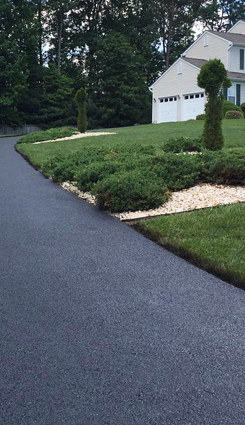 Our paving contractors are excited to provide exceptional services to clients located throughout the communities of Baltimore, Towson, Pikesville, Reisterstown, and Glen Burnie, Maryland, as well as the surrounding areas.